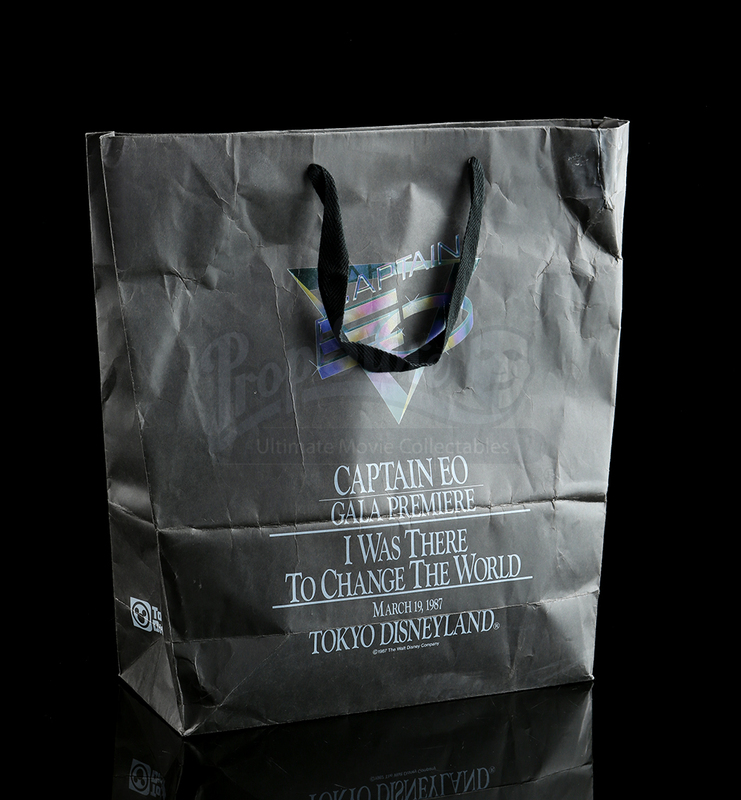 A gift bag from the opening day of the Captain EO attraction at Tokyo Disneyland. 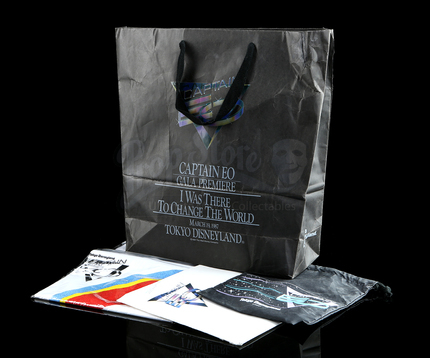 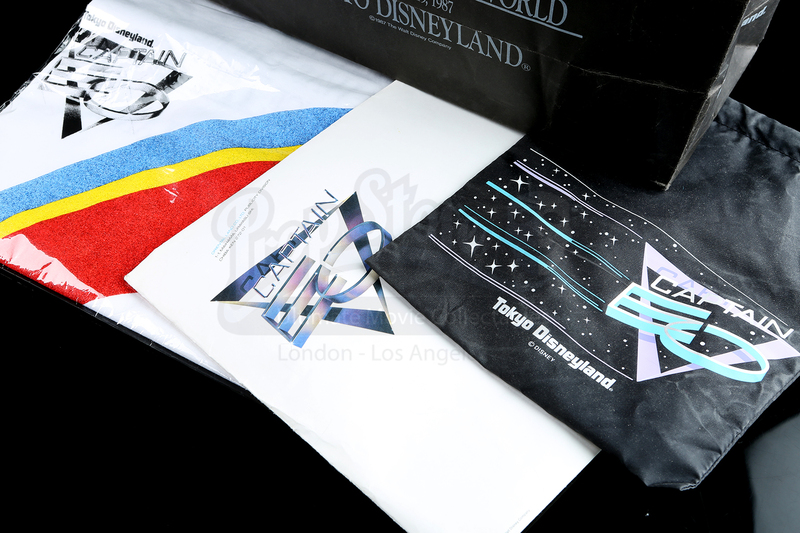 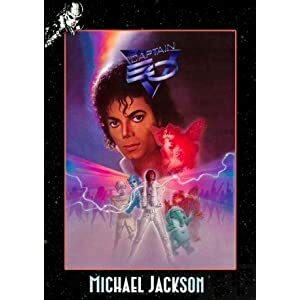 All enclosed within a black paper bag with a Captain EO logo printed on the front, the lot includes two stickers, two souvenir programs, two pins, a t-shirt and a small drawstring bag. 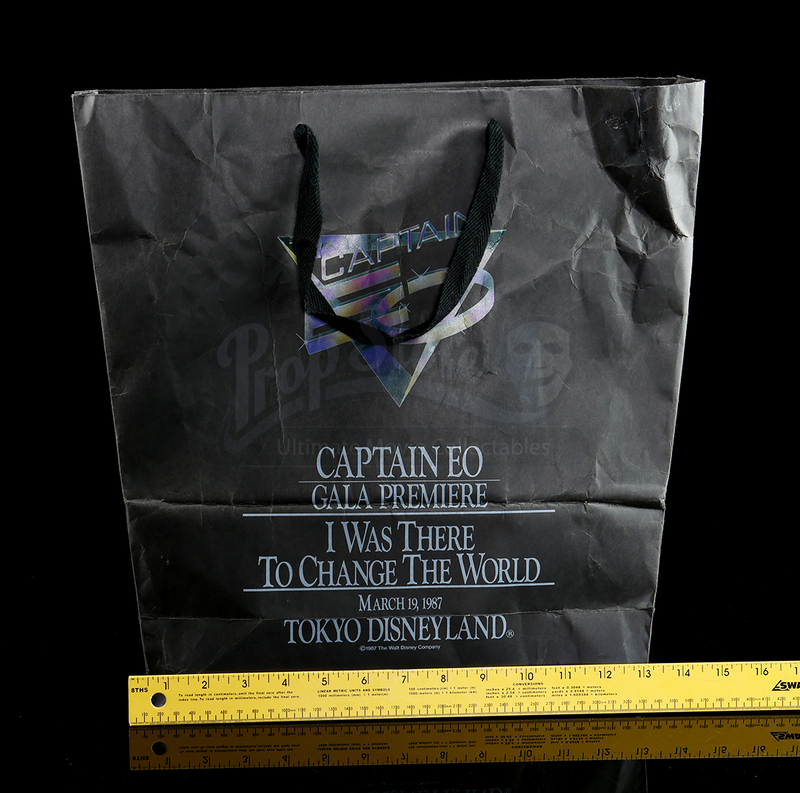 The paper bag shows slight wear from age but the lot remains in overall very good condition.